As you know, we at HubSpot are crazy about data-driven marketing. So our new edition of 120 Awesome Marketing Stats, Charts & Graphs was in a way a demonstration of our passion, and an opportunity to share some insightful stats with fellow marketers. In addition to information on inbound marketing, SEO, blogging, and social media, the 2012 edition of this presentation also includes data on email, Pinterest, Google+ and mobile marketing. I know, a lot has changed in a short time, eh? But instead of throwing all 120 amazing data points at you, in this blog post we wanted to highlight what we felt were some of the most interesting data points from the presentation. Take a look, and let us know what you find most fascinating! 1) Research is a vital part of online shopping. 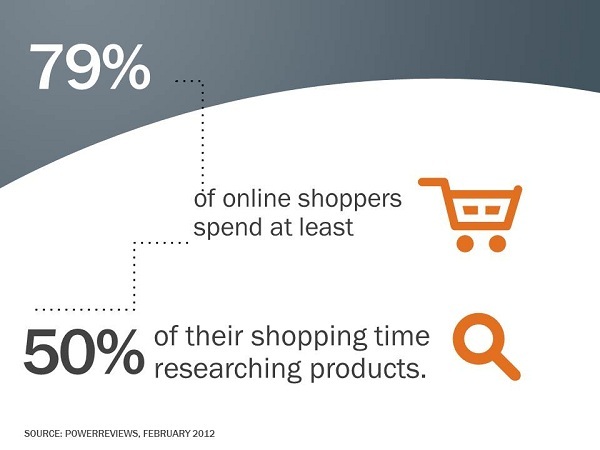 79% of online shoppers spend at least 50% of their shopping time researching products. 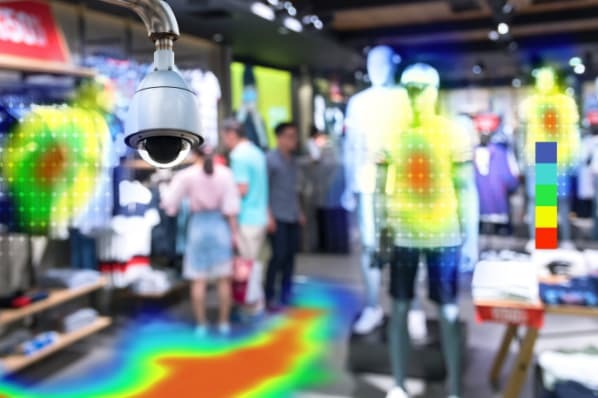 This makes sense as consumer research has drastically increased with the adoption of new technologies, which keep shaping our shopping behaviors. 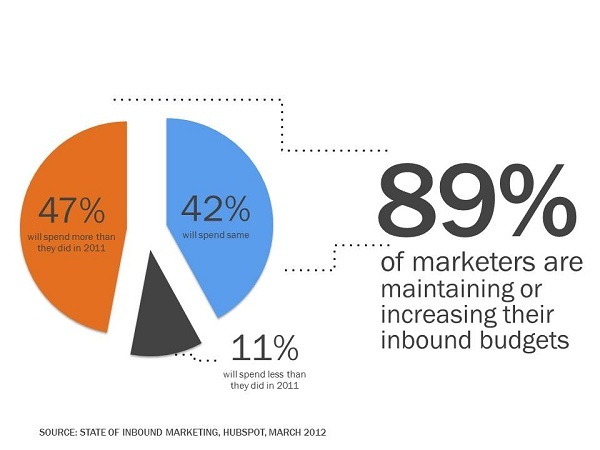 2) 89% of marketers are maintaining or increasing their inbound marketing budgets. 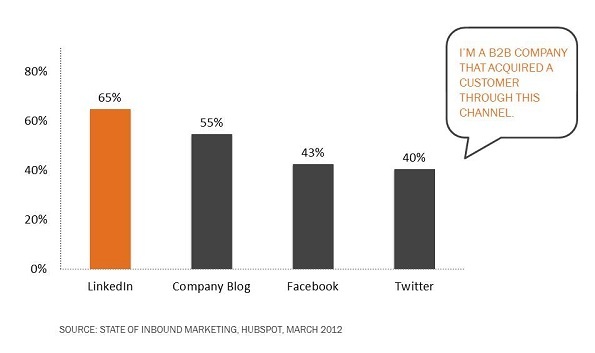 This piece of data comes from HubSpot's 2012 State of Inbound Marketing Report. The overwhelming majority of surveyed marketing professionals said that they are planning on keeping their investment in inbound marketing stable. 3) Inbound remains more cost-effective than outbound marketing. 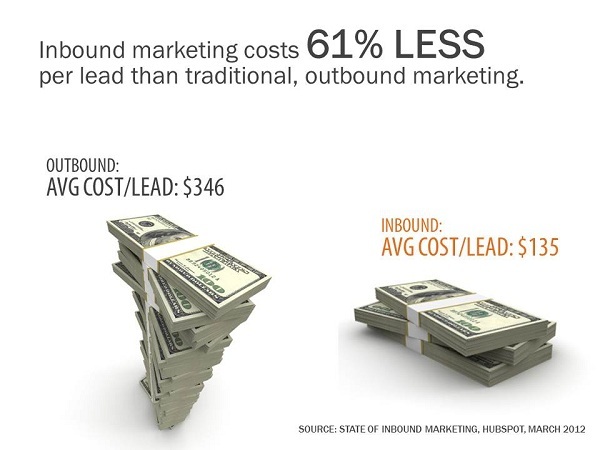 Inbound marketing costs 61% less per lead than traditional, outbound marketing. This is another data point that has remained consistent throughout the last couple of years. 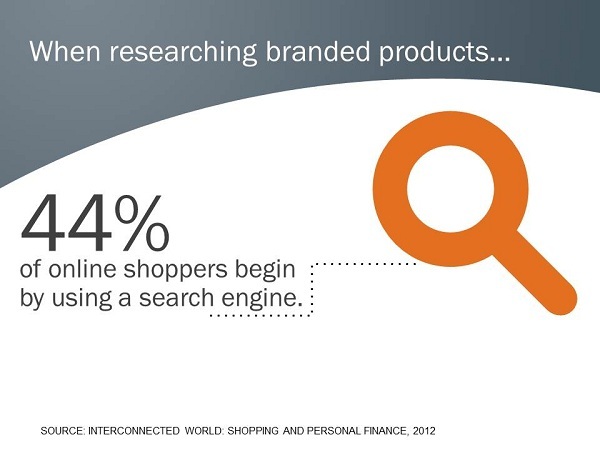 4) Search engines are often a starting point for product research. This means you should still invest some marketing effort in optimizing your pages for search. Ensure you are ranking for the keywords that bring you quality leads and customers. 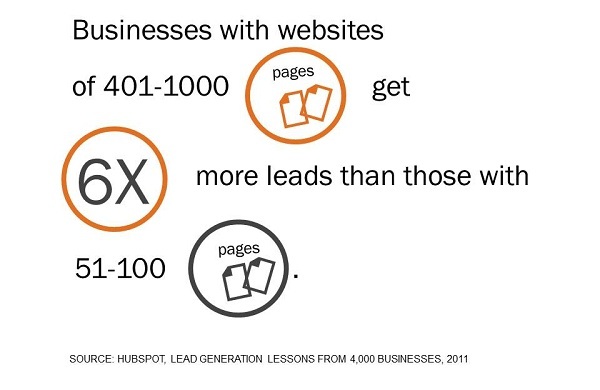 5) More web pages mean more leads. Businesses with websites that have 401-1000 web pages get six times more leads than those with 51-100 pages. By creating more offers and blog articles, you create more opportunities to rank in search engines. 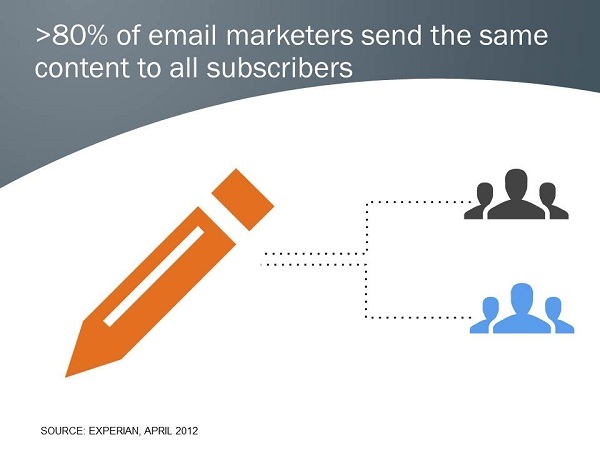 6) 80% of email marketers send the same content to all subscribers. Marketers seem to be recycling the content they send to their email database. Why, you ask? Well, marketers might only be blasting out promotional emails in which the content stays the same. Or, some might not be actively doing email list segmentation, which would require sending different content to different recipients. 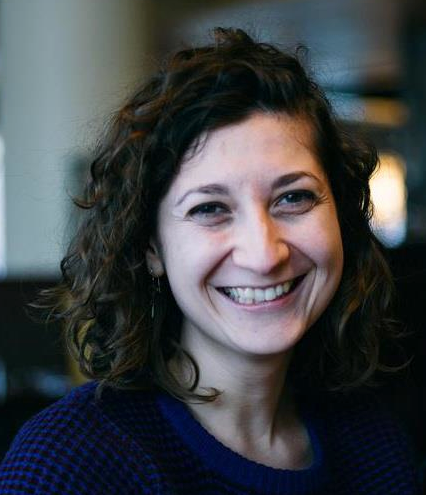 As a serious marketer, you should strive to expand your content library so you can pick and choose what offers to use to nurture your various buyer personas. 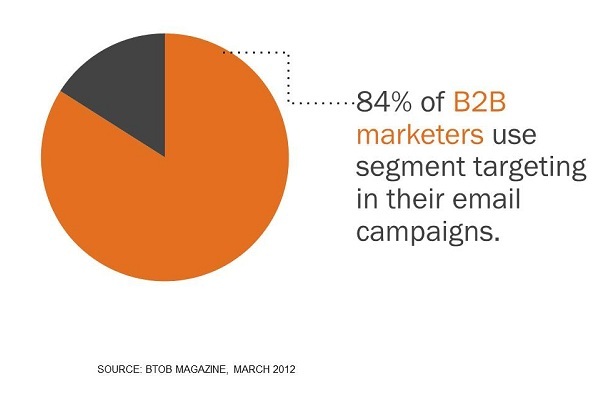 7) B2B marketers use email segmentation heavily. 84% of B2B marketers use segment targeting in their email campaigns. This is a key email marketing tactic to increase email click-through rates and conversions. 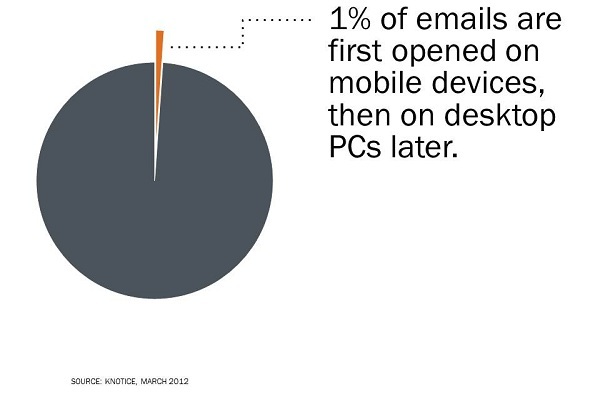 8) More and more people report reading email on mobile devices. In our Science of Email Marketing study, over 80% of respondents reported that they are reading email on mobile devices. 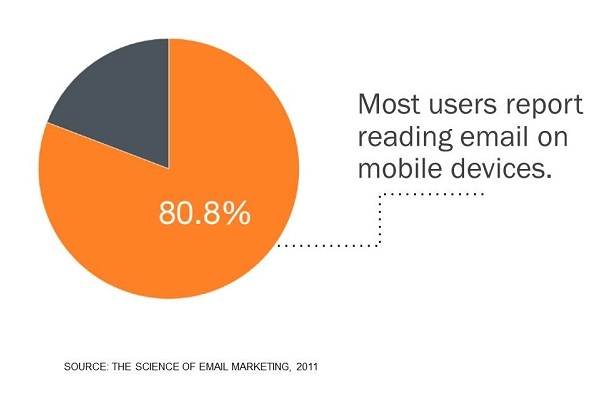 This means your emails should be optimized for mobile viewing. That means you can't rely on images to tell your story via email, but must write compelling email copy to cater to all email recipients. 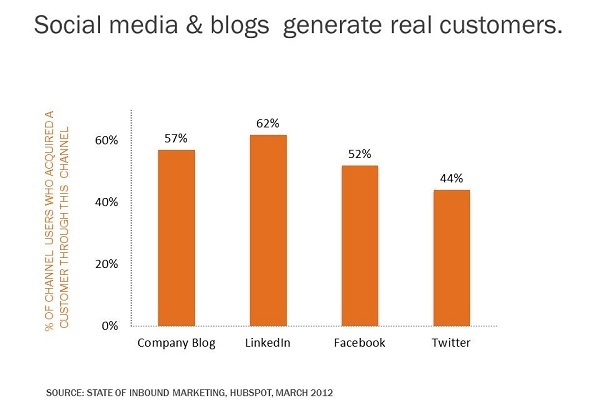 9) Social media & blogging generate real customers. 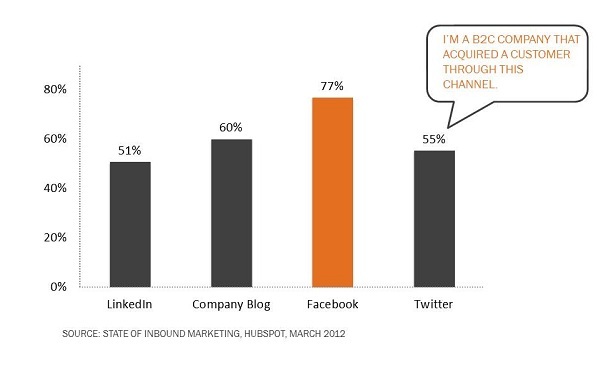 57% of the respondents in HubSpot's State of Inbound Marketing study reported that they have acquired a customer through their company blog, 62% through LinkedIn, 53% through Facebook, and 44% through Twitter. This data supports the argument for investment of marketing time and resources in blogging and social media. 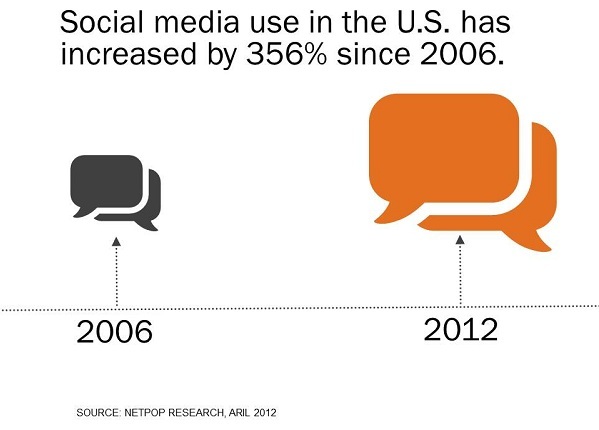 10) Social media adoption has grown drastically in the U.S.
Social media use in the U.S. has increased by 356% since 2006. Facebook, Twitter, LinkedIn and other social networks have penetrated different generations who all share the need for staying connected and exchanging information online. 11) Social media conversations influence purchases. Not only is social media becoming more popular, but it's also actively impacting buying decisions. 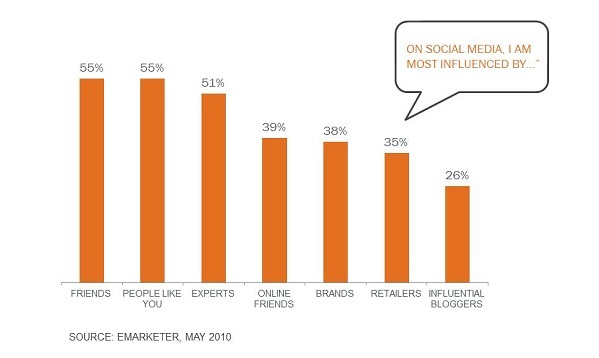 On social media, people aren't only influenced by friends, people like them, and experts ... but also by brands and retailers! 12) LinkedIn drives the most customers for B2B organizations. 65% of B2B companies that answered our survey as part of The State of the Inbound Marketing said that they have acquired a customer through LinkedIn. 13) Facebook drives the most conversions for B2C organizations. 77% of B2C companies that answered the same State of the Inbound Marketing survey said that they have acquired a customer through Facebook. 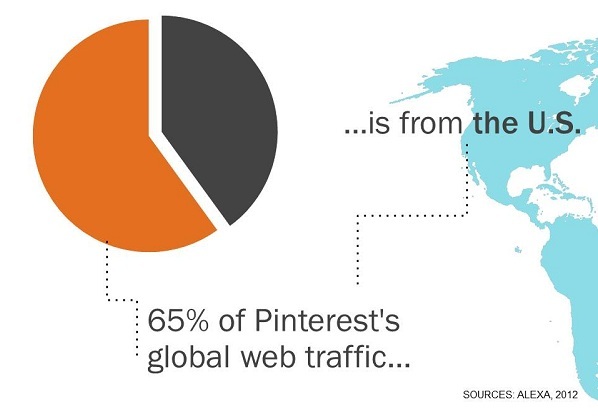 14) Pinterest is popular mainly in the U.S.
65% of Pinterest's global web traffic is from the U.S. So if your target audience is not in North America, you should investigate to see what the adoption rate of Pinterest is in your location. 15) Most marketers recognize the value of blogging. 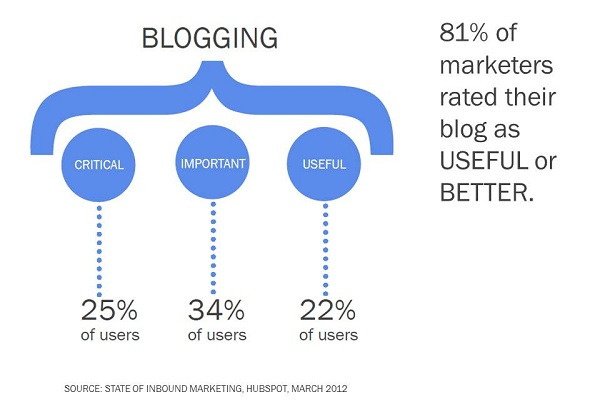 81% of marketers rated their blog as "useful" or "better." 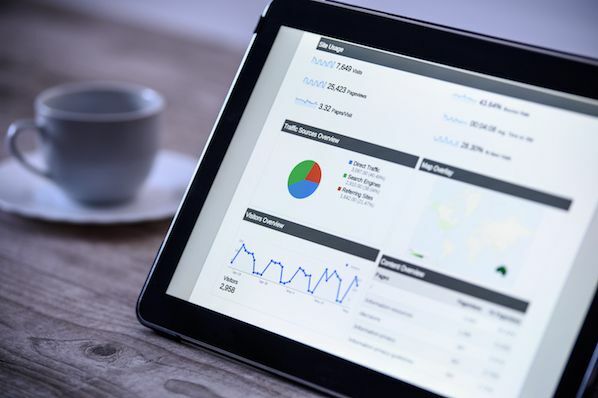 Business blogging has many benefits, among which is the potential to increase your rankings in search engines and earn you thought leadership. 16) Blog reading peaks around 10AM. From The Science of Blogging we learned that the most reading of blog articles happens in the mornings. 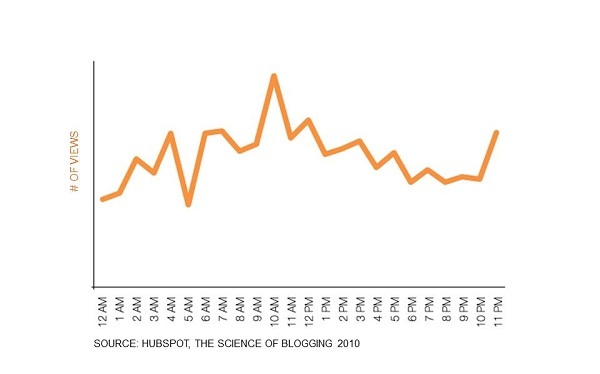 The chart above shows that later in the night is also not a bad time to attract the attention of blog readers. 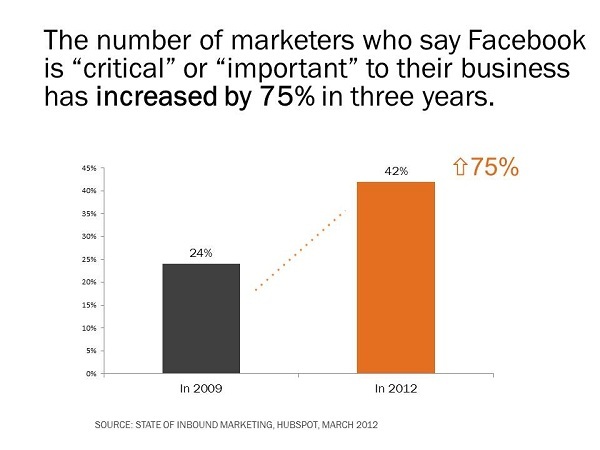 17) Facebook grows in importance to marketers. Looks like marketers are finally starting to come around on the value of Facebook as a business tool! 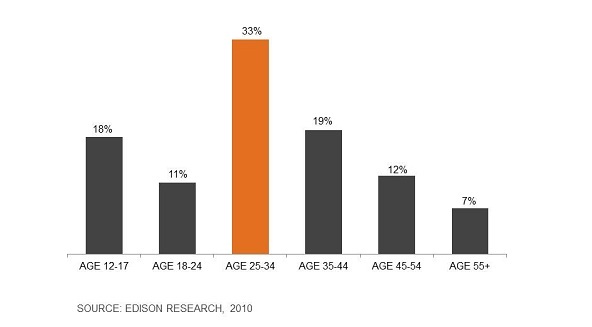 18) Most Twitter users are 25-34 years old. 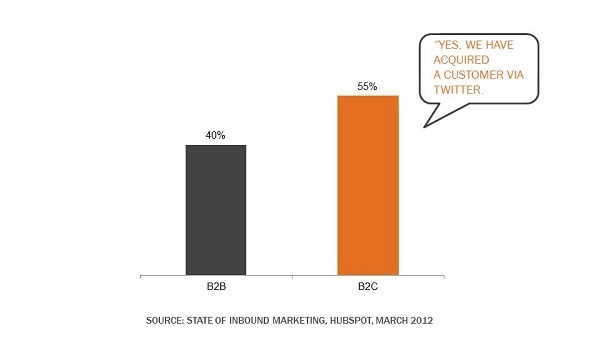 19) Twitter drives more customers for B2C companies. 20) Mobile users rarely reopen emails on computers. What is your favorite tidbit of information here? 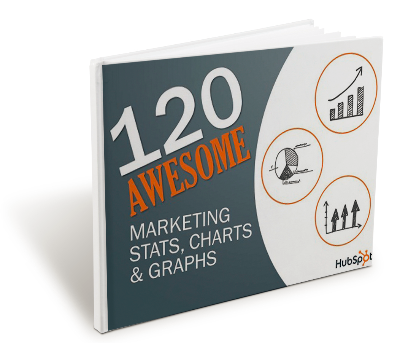 Or is your favorite contained within the full report of 120 marketing stats, charts, and graphs? Most importantly, how are you going to use this knowledge in your day-to-day marketing life?